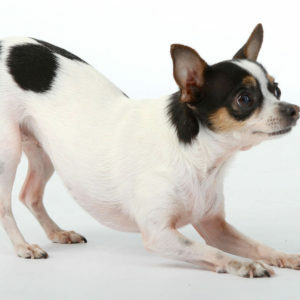 We created the concept of group training classes geared specifically for small dogs in 2001. Our Small Dog Basic Obedience classes are the perfect environment for dogs under 20lbs and over 5.5 months old to learn in a group class setting with dogs of a similar size. City life for small dogs and their families can be particularly stressful due to concerns for safety, and peace of mind regarding behavior in the home and out on city streets. In addition to basic manners skills such as sit, down, stand, stay, come when called, and impulse control, this course has an emphasis on small dog issues such as handling, excessive barking, and improving social skills. 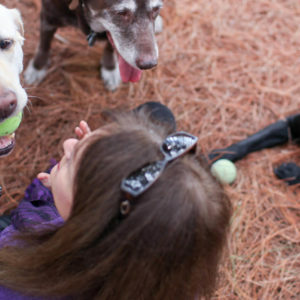 This course will help you learn how to use a modern, reward based approach to help your small dog happily engage in the training game, to build their confidence in themselves in different environments, and to prove to people that small dogs can be mannerly, social, and a blast to have training fun with.